 LOS ANGELES (Jan. 24, 2019) —SAG Award® nominee Jon Huertas (This Is Us) will join Vitalie Taittinger, Global Spokesperson and Artistic Director for Champagne Taittinger, for a toast that will herald the start of arrivals for the 25th Annual Screen Actors Guild Awards® on Sunday, Jan. 27. The Champagne Taittinger Toast will kick-off the SAG Awards arrivals as it has every year since 2001. The family-owned Champagne House will also complement the Gala with bottles of their prized Champagne Taittinger Brut La Française, produced in Reims. In addition, as actors enter the SAG Awards showroom they will be asked to sign a Nebuchadnezzar (15 liter) bottle of Champagne Taittinger. For every signature, Taittinger will contribute additional funds for the Foundation’s critical Emergency Assistance program, which supports actors and their families in times of urgent need. The Champagne Taittinger Toast also kicks off the official pre-show PEOPLE, Entertainment Weekly & TNT Red Carpet Live: 25th Screen Actors Guild Awards, which will livestream on tntdrama.com/sag-awards, sagawards.org, People.com, PeopleTV.com, EW.com, Facebook (PEOPLE, EW, PeopleTV, InStyle, TNT, TBS), Twitter (PEOPLE, EW, PeopleTV, TNT, TBS) and YouTube (PeopleTV), beginning at 5:30 p.m. ET / 2:30 p.m. PT. Jon Huertas is a Drama Ensemble Actor® nominee for This Is Us, in which he portrays Miguel Rivas, Jack Pearson’s best friend and widowed Rebecca Pearson’s second husband. In addition to a Drama Ensemble win at last year’s SAG Awards, the show has received best drama nominations for two Primetime Emmys and two Golden Globes. Among the other roles that have earned Huertas acclaim are his performance as homicide sergeant Javier Esposito in the series Castle and as Jerome Kellar in the feature film Reparation. He will next be seen in the thriller Imprisoned. Champagne Taittinger is one of the last remaining family-owned and operated Champagne houses, both owned and actively managed by the family named on the label. The house is also the second largest domaine or vineyard owner in the region, giving them ultimate control of quality from vine to bottle. The house style is Chardonnay dominant, which gives the cuvèes their signature elegance, delicacy and finesse. Champagne Taittinger is widely distributed around the world in 140 countries. To learn more, please visit: taittinger.com. TBS, a division of Turner, is one of basic cable's top entertainment networks with young adults, and home to the most popular and critically acclaimed comedies on cable — Angie Tribeca, CONAN, The Detour, Full Frontal with Samantha Bee, The Guest Book, The Last O.G., Search Party, and Wrecked — as well as animated series American Dad!, Final Space and Tarantula. TBS' slate of unscripted series includes competition show Drop the Mic and Snoop Dogg Presents The Joker's Wild. Upcoming comedies include Miracle Workers and Close Enough. In addition, the TBS lineup includes popular comedy hits like Brooklyn Nine-Nine, Family Guy, Bob's Burgers, The Big Bang Theory, New Girland 2 Broke Girls; blockbuster movies; and live coverage of Major League Baseball's regular and post-season play, the NCAA Division I Men's Basketball Championship and ELEAGUE, Turner's eSports gaming competition.